Robin Bonazzoli, M.Ac., Lic.Ac., Dipl.Ac., MQP is an acupuncturist, licensed through the Commonwealth of Massachusetts Board of Registration in Medicine and certified through the National Certification Commission for Acupuncture and Oriental Medicine. Her three year Master of Acupuncture degree from The Academy for Five Element Acupuncture of Gainesville, Florida includes a year of fulltime clinical training. Following her formal acupuncture education, Robin’s treatment style was shaped by the Sino-Tibetan five element healing system of 13th Generation Lineage Holder Grandmaster Wei Zhong Fu, Mandala Acupuncture of Sharon Weizenbaum, Lic.Ac., pain treatment theory of Dr. Richard Tan, Lic.Ac., D.O.M., and non-insertion needling techniques of Master Kobayashi Shoji of Japan. 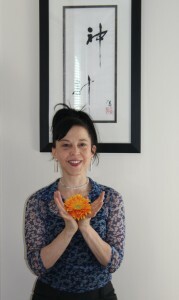 Robin’s also utilizes her vast experience in related Asian healing systems to offer a unique approach to acupuncture. While living in Tokyo, she completed two years of study in Zen Shiatsu (meridian massage) with the renowned master inheritor of the Masunaga lineage, Takeo Suzuki. She draws from her study in three lineages of medical qigong (energy) therapy to refine diagnosis and treatment. Moreover, her acupuncture includes a deep understanding of natural, healthy mind-body-spirit structure and movement from thirty years of training in martial arts (hard styles and tai chi) and the self-healing exercise system known as qigong (chikung). See: Qigong and Tai Chi Bio. Prior to her career as an acupuncturist, Robin lived abroad: for three years in San Cristobal De Las Casas, Mexico (as a musician), and for eleven years in Japan. In Tokyo, she worked primarily as English Language Consultant to the Department of Architectural Engineering at Kajima Corporation, a world-prominent, global research and development construction firm. This work entailed writing and editing research for international journal publication, as well as teaching/mentoring employees in preparation for professional endeavors in America and Europe using English, such as: new papers presentations, graduate education and joint research projects. She also worked as a writer for the Center for Global Partnership and taught writing at Swiss Bank of Japan and various Tokyo colleges. Robin’s earned her bachelor’s degree in Neuroscience from Hampshire College of Massachusetts. 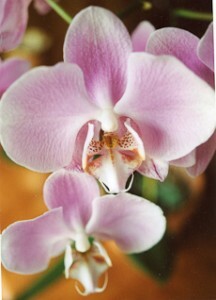 As an undergraduate, she authored a publication with Lonny S. Jarrett, MS, Lic.Ac., through Oxford University’s Journal of Embryology and Experimental Morphology from their research conducted at Albert Einstein College of Medicine in the Department of Neuroscience under the guidance of the late Dr. Pat Model, Ph.D.